The Philippine real estate industry is one of the fastest growing in Asia and 2017 has been a great year for the country’s real estate businesses. The growth of real estate industry is expected to be sustained in the next coming years, on the back of a robust Philippine economy and major investments from global capitalists. However, given the upward trend witnessed in the Philippines’ real estate sector in the past years, there are still a lot of major issues that need to be addressed to really help the Philippines progress in this industry. In this series, Cornerstone will unveil two of the most common operational problems local real estate operators encounter on a regular basis and will provide possible solutions for them. This is when the same unit has been booked by more than one client as the result of outdated inventory or having a poor inventory system. Double booking often leads to cancellation of the client because there are certain reasons why they choose that property. Offering them other options may help in closing the deal, but addressing the root of the problem is still the best thing to do. Solution: Well-functioning inventory system that has a real time updates. A good inventory system helps in figuring out exactly if a property is already booked or not. This makes it easier to prevent double booking incidents. Having a good inventory system leads to a more seamless business operations and more sales. Inventory management system can also help in speeding up the purchasing process since all data are recorded and can be sorted with just a couple of clicks. Real estate businesses in the Philippines often stack everything in one place, resulting in a too saturated and unorganized accounts. This practice may lead to loss of client information or even mess up the whole inventory. One disadvantage of dealing with saturated account information is that there are higher risks of human errors that may lead to loss of sales. Since account management is very tedious, it is highly recommended to use a reliable accounts management system that will help in sorting out every account that the business manages. Strategic account management won’t be successful without a reliable system. 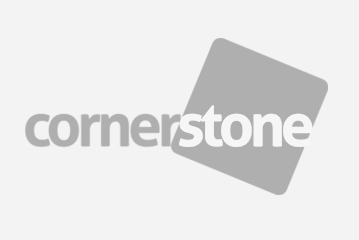 At Cornerstone, users enjoy an unlimited access to the Account Information platform that enables them to utilize sales resources and manage clients with ease, see opportunities for growth, stronger account control, and improve client satisfaction. Having a system that is designed to manage both client bookings and account management will benefit the business in the long run. A seamless real estate business operation opens new opportunities for growth and expansion.